Pacific West Gymnastics is excited to announce that our Fremont location will be open for classes on Sundays, starting May 7th. 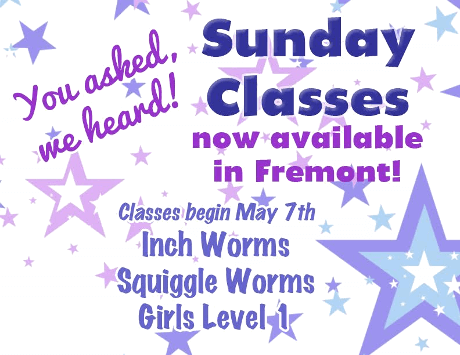 Inch Worm, Squiggle Worm and Girls Level 1 classes will be available at 9am, 10am and 11am. Request a Free Preview Class.